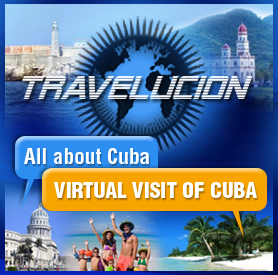 Villa Clara Cuba is just one of over 50 official online guides covering the whole of Cuba. If you´re planning a trip to Cuba and would like discover our fabulous nation before visiting or, if you´d like to visit a specific place in Cuba, then you´ve come to the right place. Villa Clara Cuba is one of Cuba´s most popular provinces, visited by millions of people over the past decade. Few people noticing that Cayo Las Brujas and Cayo Santa Maria are part of this central Cuban province. When you travel to Villa Clara in Cuba you may wish to check out the hotels in Villa Clara and the Jardines del Rey sector of the province or maybe you´d like to rent a car in Villa Clara Cuba? We also offer extensive day trips from hotels and resorts located in Villa Clara. Villa Clara or better known as the Che Guevara city, has some simply amazing things to see. Whether you are visiting Villa Clara in Central Cuba for business, pleasure or both, we´re sure that Villa Clara will meet all of your expectations and that sights in Villa Clara will provide everything you dreamt about.